You are currently browsing the tag archive for the ‘Garage Doors’ tag. 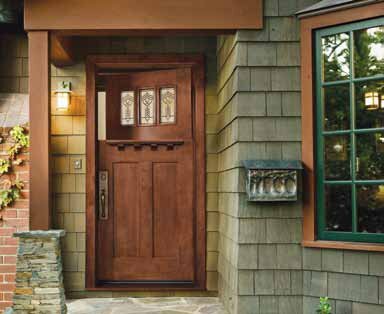 For added curb appeal and the look of real wood with easy-care maintenance, JELD-WEN is offering a new composite window system for its garage doors that features a one-piece woodgrain frame and simulated divided lites (SDLs). The system optimizes the window size and viewing area, is available with single-pane or dual-glazed insulated tempered glass, and can be painted or stained to match the door’s base color. Standard prefinish options include White or Portabello for a warm, down-home appeal. JELD-WEN® Wood Composite garage doors provide the look of wood without the maintenance, the strength of steel without the potential for rusting or denting, and the durability of fiberglass without the cost. JELD-WEN Wood Composite technology conserves natural resources, as skins and trim boards are made of recycled fiber. 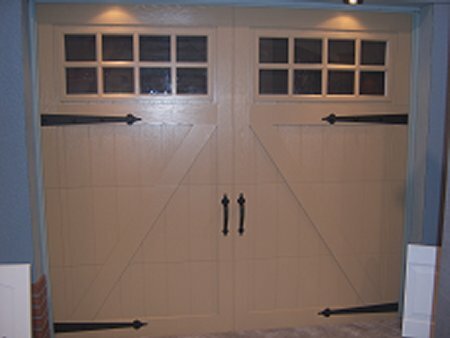 Click for more information on JELD-WEN garage doors. These garage doors are currently available through The Design Center, a completely new retail concept in the Ballantyne Area outside of Charlotte offering JELD-WEN windows, doors, garage doors as well as professional installation services all in one showroom. The Design Center is located at 9484 Old Bailes Road, Fort Mill, SC, 29707. The phone number is 800-276-0411. For further information please visit our website at www.jeld-wen.com. Wouldn’t it be nice to see what your house would look like with new windows, doors and garage doors before you buy them? Now you can, with the national debut of The Design Center, featuring JELD-WEN Windows & Doors and based right across the border in Fort Mill, SC. Prior to an appointment at The Design Center showroom, you can upload a photo of your home at http://www.thedesigncenter.com, then work with a consultant to digitally add new windows and doors for a preview of how different colors and styles will work on your home.For more information on The Design Center, call 800-276-0411. You may also visit 9484 Old Bailes Road, Fort Mill, SC, or thedesigncenter.com where you can schedule an appointment for your complimentary in-store or in-home consultation. Showroom hours are Monday through Thursday 8 a.m.-7 p.m., Friday 8 a.m.-5 p.m., Saturday 9 a.m.-3 p.m., and closed Sunday. Click here to view the entire article or visit Urban Home Magazine’s website to learn more about The Design Center.